Home>Blog>I Didn&apos;t Get 4000 Watch Time Hours on YouTube... Do I Need To Start Again in 2019? I Didn&apos;t Get 4000 Watch Time Hours on YouTube... Do I Need To Start Again in 2019? The short answer is no… but it’s a bit more nuanced than that. In this post, we’ll be focusing primarily on requirement number two: You have more than 4,000 watch hours in the previous 12 months. 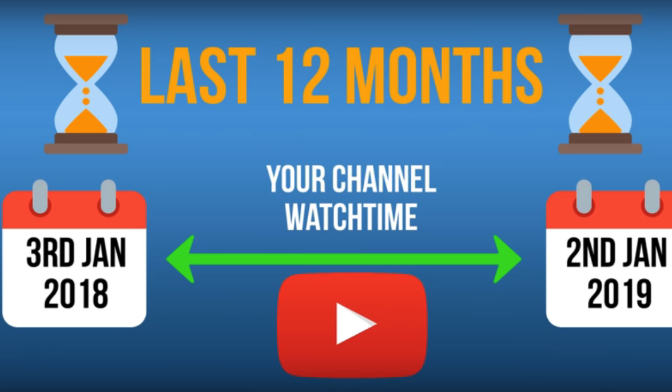 Now you might be thinking, 12 months is a calendar year, but YouTube doesn’t measure watchtime by calendar years. Instead, YouTube measures the last 365 days of watchtime from your channel. In a nutshell, you need 4,000 hours of watch time in the last 12 months, up until today&apos;s date. For example, let’s say today is January 2, 2019. YouTube will track watchtime all the way back to January 3, 2018. The next day (January 3, 2019), YouTube will track back to January 4, 2018, and so on. This is why your total watchtime may actually go up and down as you try to achieve 4,000 hours. Large spikes in watchtime will be negated when they reach that 12 month threshold, as will large dips, so it’s smart to keep a watchful eye on this metric. If you have the totally free vidIQ Chrome extension installed, you can easily track your watchtime in real-time on the top-right hand side of every YouTube page on desktop. 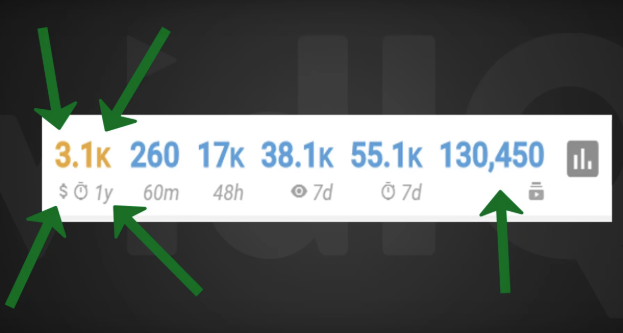 In the example below, the vidIQ displays the channel’s watchtime total as 3,100 hours over the past 12 months. You’ll notice the metric is in amber, meaning the channel hasn’t yet reached 4,000 hours. Once it has surpassed 4,000 hours, however, the metric will become green (you hit the target, pal! ), and once you surpass 5,000 hours, it will disappear. Along with watchtime hours, vidIQ also tracks number of subscribers, so you can keep those numbers top of mind, too. Mouse over the little graph icon to reveal a full breakdown of channel stats, including the watchtime over the past 12 months and… (drumroll, please), a progress bar showing you exactly how close you are to hitting 4,000 hours. Don’t see the watchtime metric with the vidIQ extension? Chances are you’ve already surpassed 5,000 hours, so way to go! What happens when I hit 4,000 hours of watchtime? 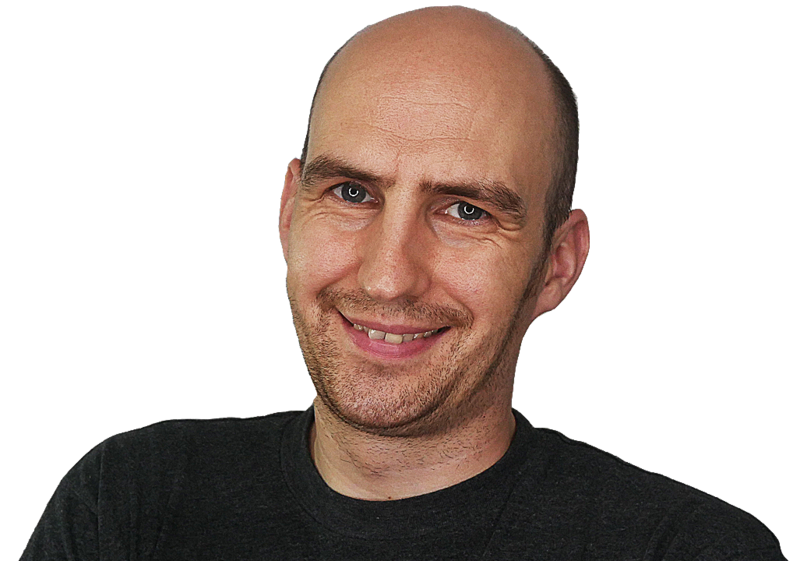 Here’s some good news: You don&apos;t have to wait 12 months to hit that monetization threshold. 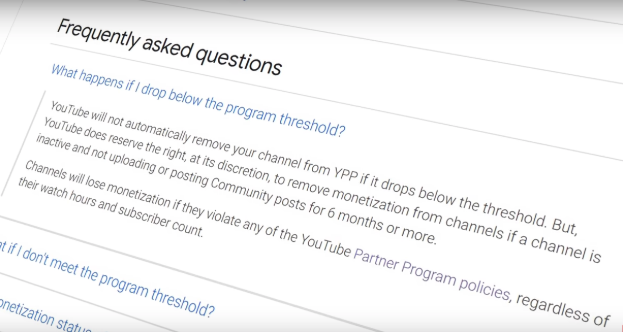 If you get 4,000 hours of watchtime in three months (umm, wow), so long as you have 1,000 subscribers you&apos;re already eligible to apply for the YPP. Note the keyword being eligible — you&apos;ve still got to apply and then be approved before you can actually start monetizing your content. Upon acceptance you might be stressing about keeping those watchtime hours up, but don’t panic, YouTube won’t kick you out if you dip below 4,000 hours so long as it’s clear you’re still active. Keep working hard, posting content you’ll be just fine. Answer directly from YouTube Help. Cue huge sigh of relief. Still have questions about 4,000 hours of watchtime, monetization and even demonetization? Peep our deep dive video here and our demonetization playlist here.